Yes, this is a real event. Two-and-a-half years in the making; the topic of one too many dinner conversations; an occasion of a lifetime (though not quite in the celebratory sense). 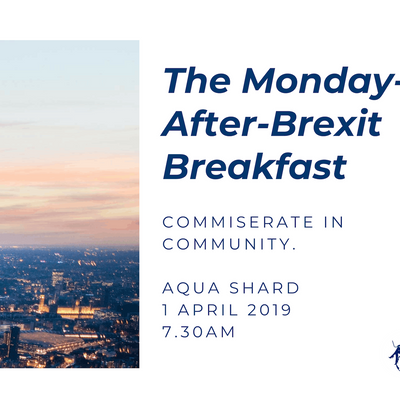 Join Women in Foreign Policy the Monday morning after Brexit* as we bid farewell to the European Union and start post-Brexit life with a much-needed kick - a lovely breakfast at the Shard. 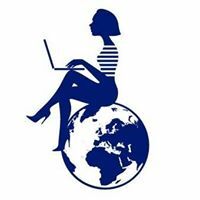 Commiserate, condole, complain - get through Brexit together with the WIFP community! 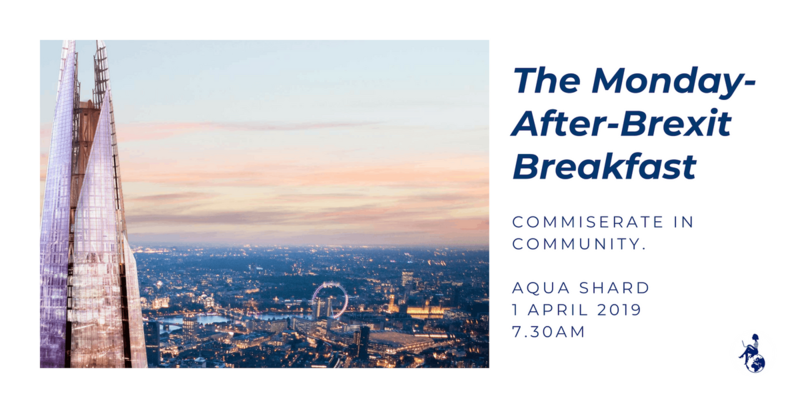 Tickets are £15, to cover the cost of a drink (coffee, tea or juice), a selection of pastries, and a stunning view of central London**. In the spirit of complete transparency, we ought to disclose that WIFP is, as you might have guessed, not too fond of Brexit. *In the possibility that Brexit does not in fact happen or gets delayed, a celebratory breakfast will be held instead! **Courtesy of the Great British Spring (hopefully).